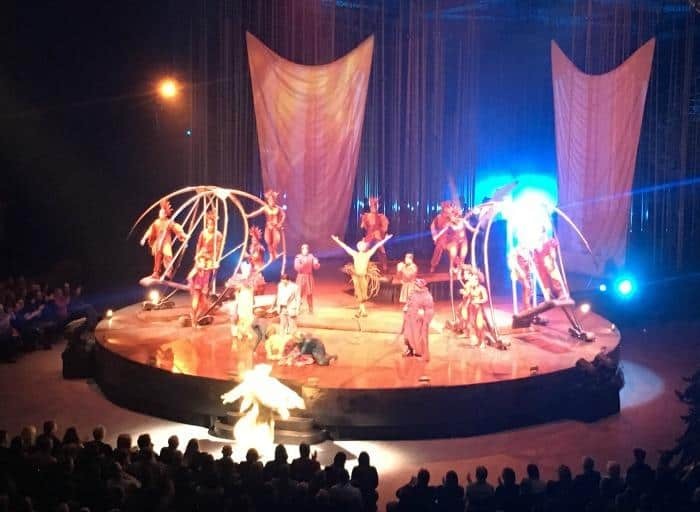 I have wanted to know what a show like Cirque Du Soleil is like for a long time, so when I got the chance to go down to the opening night of their latest show, Varekai at Nottingham’s Motorpoint Arena I literally jumped at the chance. If I could sum up my night in one word it would have to be EPIC! Cirque Du Soleil know how to put on a show, and I was literally mesmerised from beginning to end. To be honest, I wasn’t sure what to expect from Cirque Du Soleil. Of course, I knew there would be acrobatics etc, but after that I have to confess I didn’t know much about it. I was lucky enough to be able to go along with my sister, who’s a seasoned Cirque Du Soleil fan, and this was her third show. She was able to fill in some of the gaps for me. As soon as Varekai started I knew it was going to be quirky, from it’s elaborate scenery and out of this world costumes. What really took me by surprise was the element of comedy that they bought to the show. Cirque Du Soleil manage to marry some incredible stunts with slapstick comedy incredibly well giving the show a true circus feel. 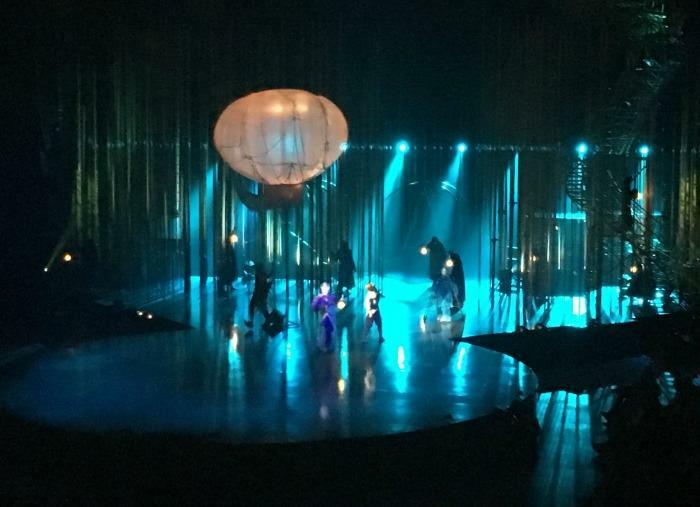 Varekai was an elaborate masterpiece based around the forest and the elements, with costumes and music representing air, earth, water and fire. I really enjoyed this organic theme as it bought lots of light and shade to the overall performance. 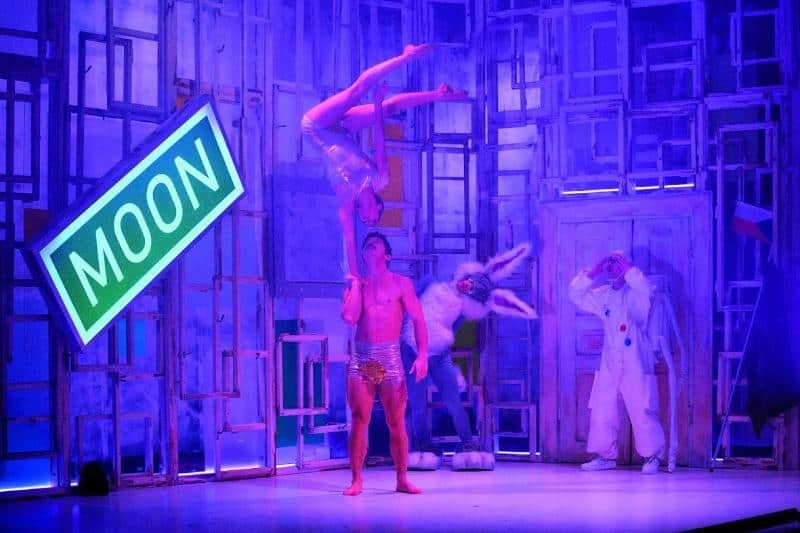 The choreography was simply stunning, with plenty of heart stopping moments through out the 2 hour extravaganza including an epic tumbling routine, mind blowing baton twirling and a graceful and daring trapeze performance. Bearing in mind there are no nets or no harnesses it really is a jaw dropping show from beginning to end. The finale is really quite spectacular, and the talent of Cirque Du Soleil really comes to life as the performers jump through the air between moving swings and canopies. The whole arena was entranced in a complete sense of aw. It was truly breathtaking. So, now I do know what Cirque Du Soleil is like. I can only describe it as an evening of jaw dropping and spine tingling entertainment in a complete world of it’s own. If Varekai, or any other Cirque Du Soleil show is coming to an arena near you, book some tickets. I promise you won’t be disappointed. We were provided with complimentary tickets to see the Cirque Du Soleil show, Varekai at Nottingham’s Motorpoint Arena in return for this review, but all thoughts an opinions are our own. Wow! 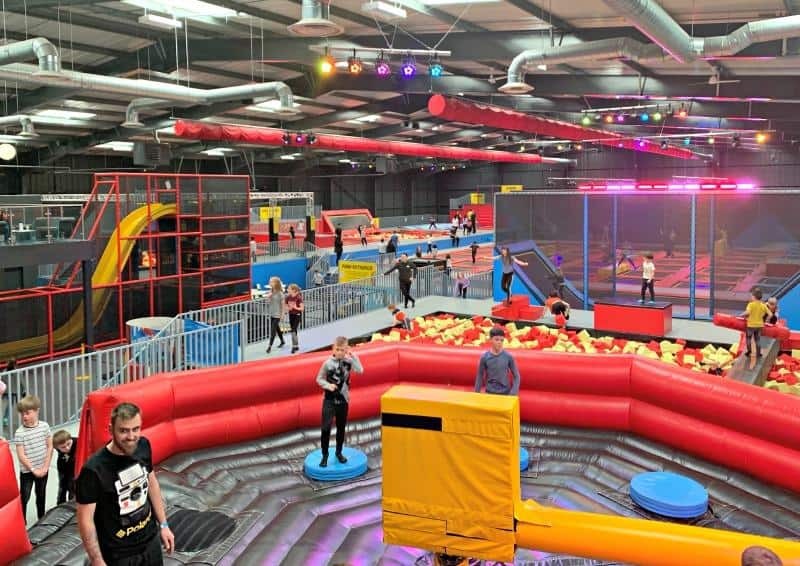 Looks like you had a fantastic night out, I’ll have to check this out next time it comes to the arena in Leeds! 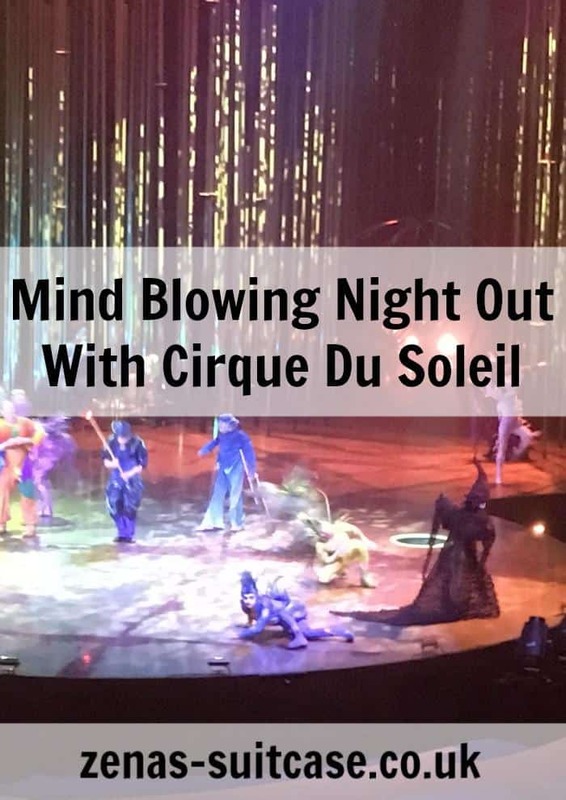 I went last night and it is the third time we have seen Cirque Du Soleil, never fails to impress … I can highly recommend it, I would go every year given the chance as it has a different theme and new acts. Sheer Brilliance. It does look and sound incredible, a perfect mixture of tones. I’m sure it’s fabulous entertainment! It certainly does sound awesome! I would jump at the chance! Looks amazing I’ve been meaning to see one for a while! 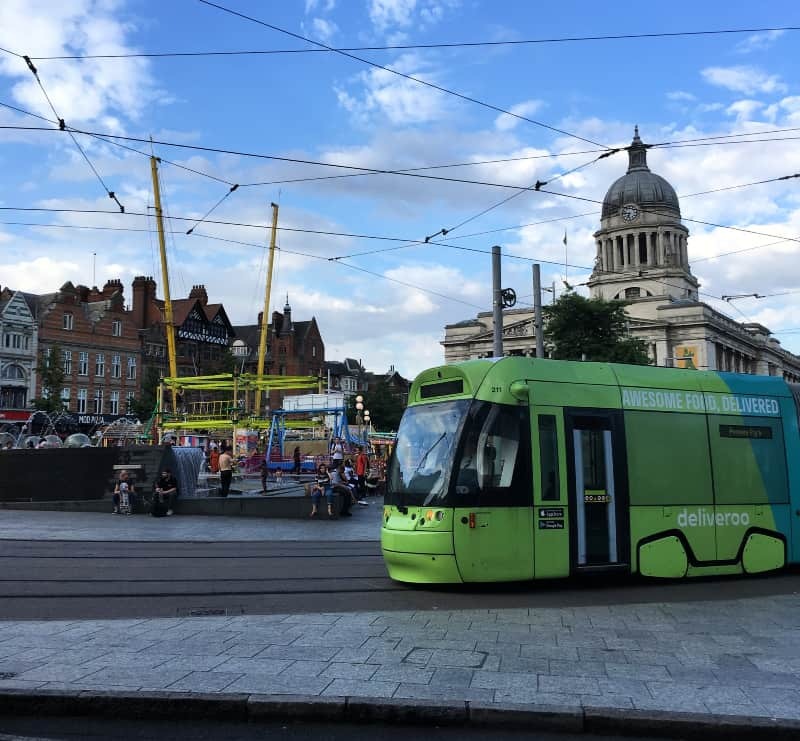 Would be thrilled to see this it looks fabulous! Looks a lovely show. Everyone I know who’s seen the Cirque du Soleil has said how entertaining they are. I love Cirque Du Soleil all their shows are magnificent.